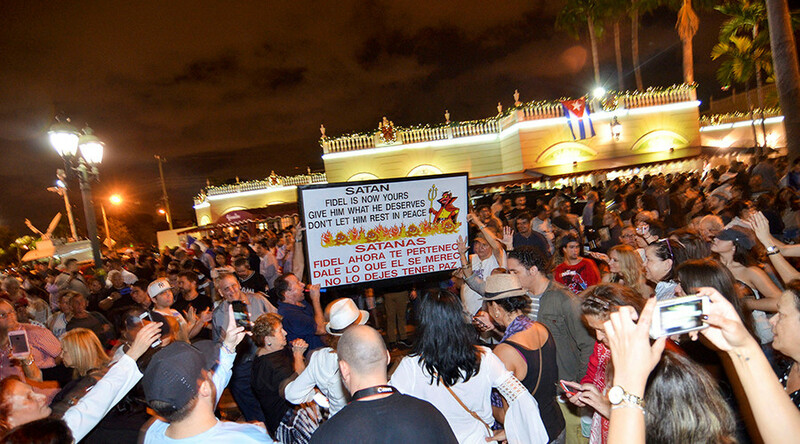 Cuban-Americans in Florida have been gathering in the streets to celebrate the death of former Cuban President Fidel Castro, under whose rule many thousands fled their island nation homes. 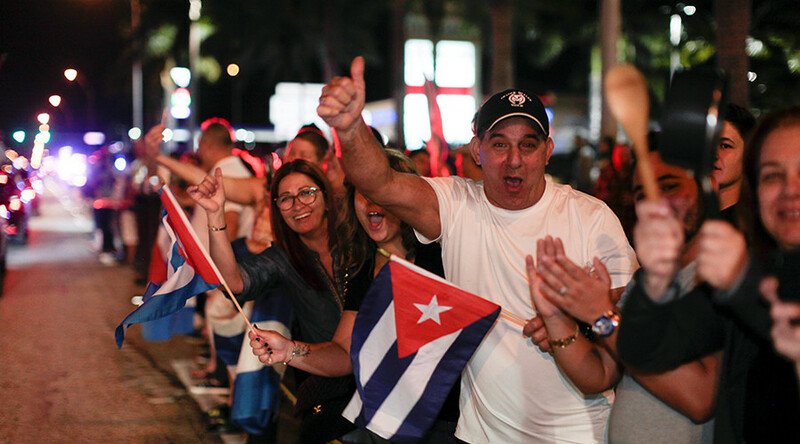 Parties are taking place in the cities of Hialeah and Miami, home to the majority of Cuban exiles in the US, with celebrations particularly focused in the famous, vibrant Cuban neighborhood Little Havana. 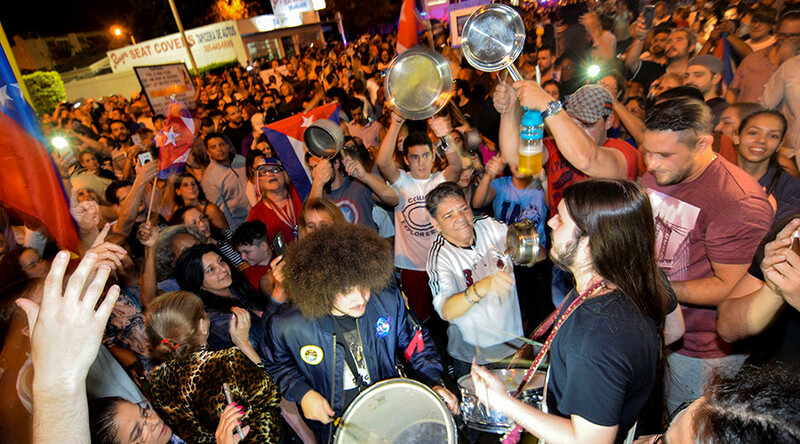 Hundreds of Cuban Americans rejoiced upon hearing of Castro’s death Friday, waving Cuban flags, chanting “communism is dead” and banging pots and pans. Thousands of people have fled Cuba over five decades to escape the oppressive communist regime enforced by Castro. The scenes of joy also included a show of American flags and a blow-up doll of US President-elect Donald Trump. South Florida Republican Representative Ileana Ros-Lehtinen said the death of the ‘tyrant’ was the start of a new chapter for Cuba. Miami Mayor Tomas Regalado described Castro’s death as a “victory,” while Miami-Dade Mayor Carlos Gimenez said this was “something that we've been waiting for,” according to NBC Miami. This year marked a number of significant milestones in the easing of frosty relations between the US and Cuba. US President Barack Obama became the first US president to visit Cuba in 88 years when he met with Fidel Castro’s brother and current Cuban President Raul Castro in March. The historic meeting included the signing of several agreements aimed at increasing cooperation and economic investment between the two countries. In May, the first cruise ship in almost 40 years set sail from Miami to Havana, just weeks after Cuba lifted a ban on Cuban-born citizens entering the country by way of commercial sea vessels.